Moon In My Room - with 12 illuminated phases, Audio CD and Remote Control! 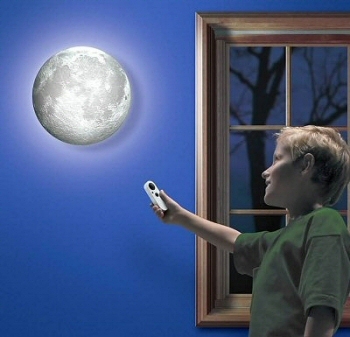 Our remote-controlled Moon Lamp is the perfect bedroom accessory for very young children who have a fascination with the moon, or for older children (6+) who will find this toy reveals the secrets of the moon in a very intersting way. Easy to attach to the wall, the lamp is a faithful three-dimensional representation of the side of the moon that we see from Earth. The lamp is able to show 12 of the moon phases. The CD-rom accompanying the "Moon in My Room" gives your child a guided tour of the moon. This product teaches children about our closest celestial neighbour and therefore also makes an ideal gift to go alongside one of our telescopes. 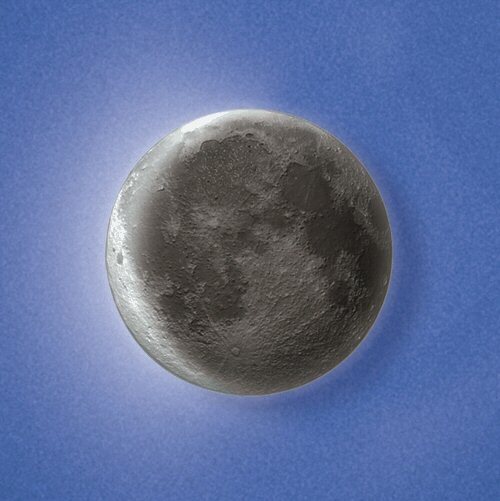 Moon in My Room is a light-up moon with 12 lunar phases. It features an authentically detailed lunar moonscape and a built-in light sensor that illuminates the moon when it gets dark. The automatic or manual function shows 12 main phases of the moon. Included is a discovery guide with calendar, moon phase charts, and instructions. 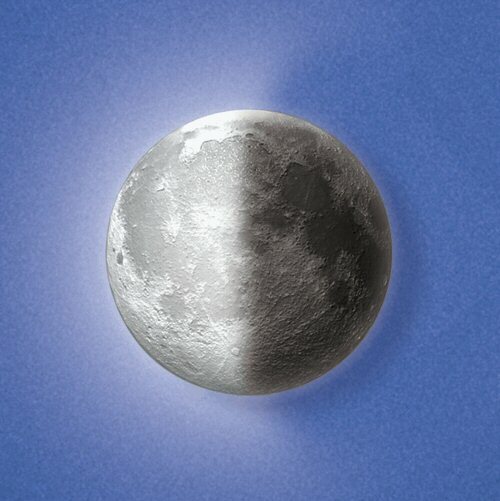 A 15-minute audio CD provides a guided tour to the moon and beyond. Other features include auto shut-off to preserve battery life, and an infrared remote control. The moon easily mounts to wall with three different hanging options. Required 2 AAA and 4 AA batteries, not included. The lamp is a large 28cm in diameter.